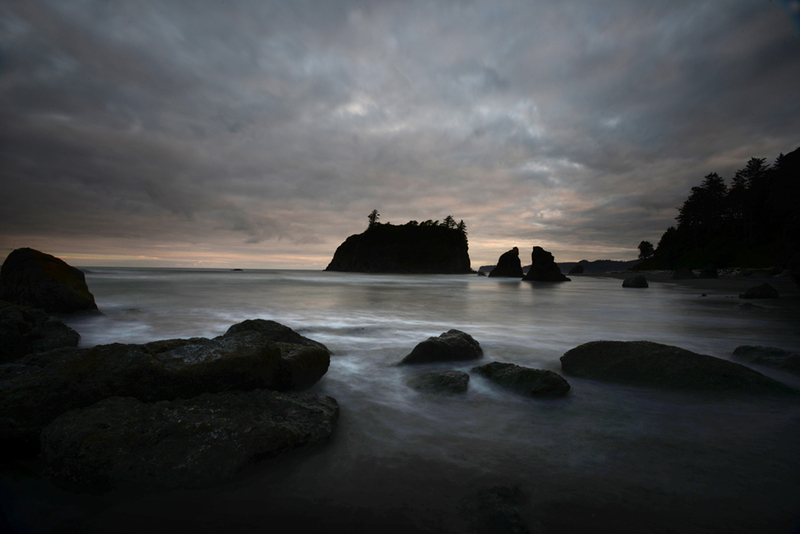 The Olympic National Park in Washington State is one of the most diverse parks in the nation. 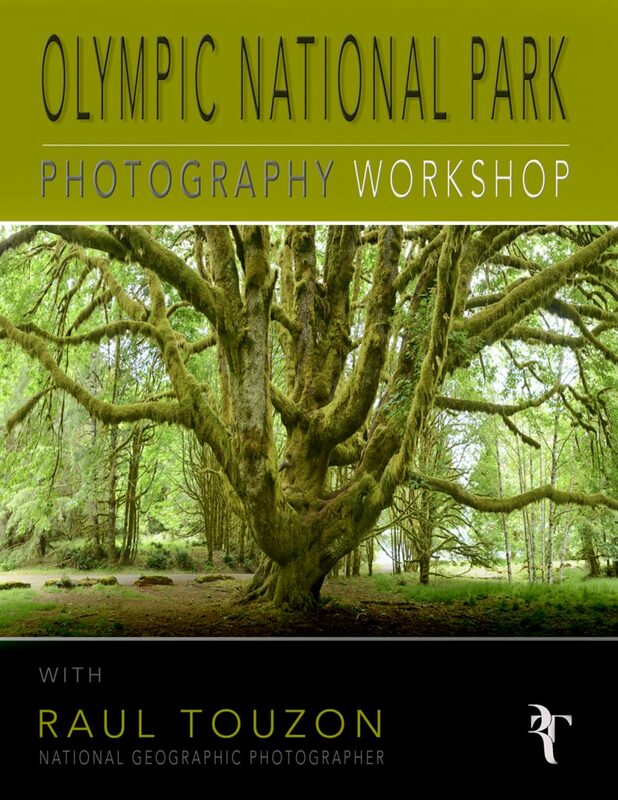 The fact that it has three distinct and vastly different eco-systems makes it a prime location for photography. 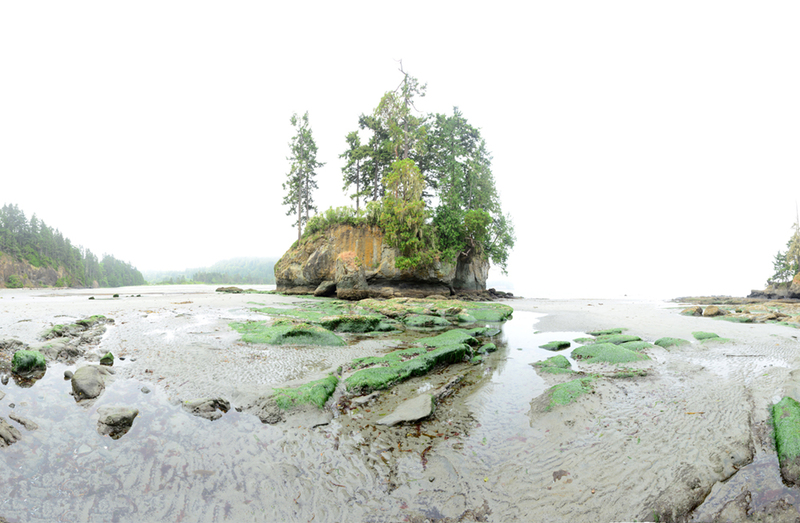 Mountains, rainforest and spectacular seashore working in unison to create an unearthly nature spectacle. 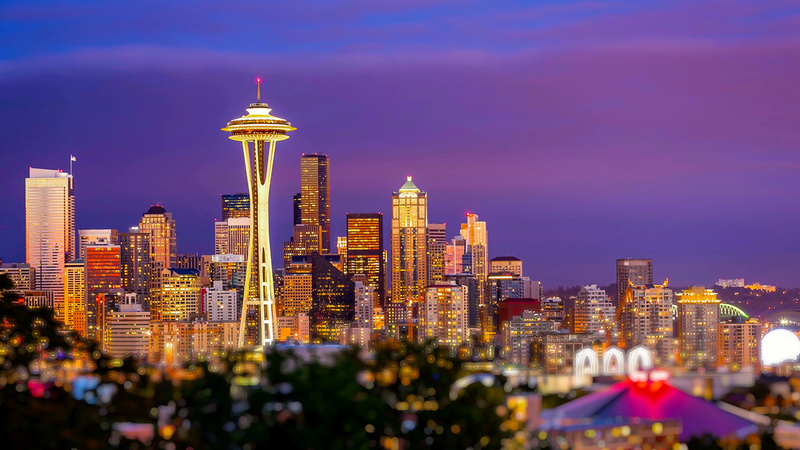 Dominating the heart of the peninsula are the Olympic Mountains. Easily reached by Hurricane Ridge, you travel among clouds to find distant mountains painted in layers of soft pastel colors. Down below, the early morning fog blankets the coast. 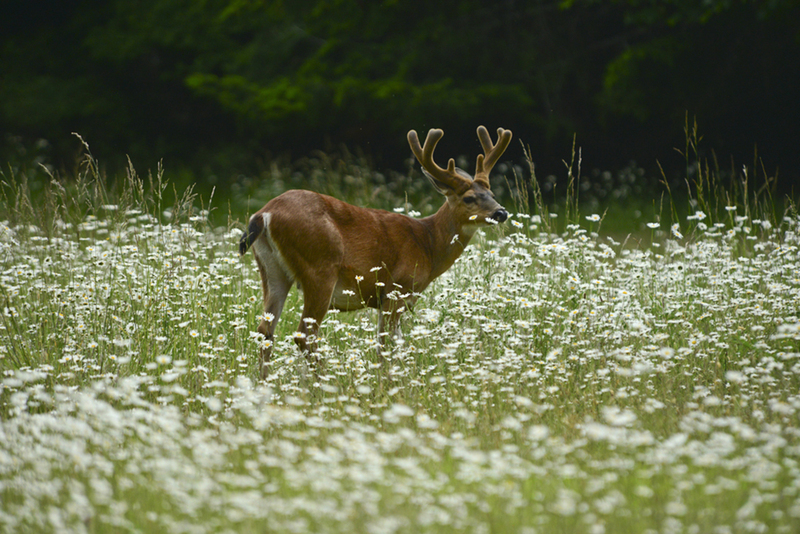 Black-tail deer provide the perfect prop to the magnificent landscape evolving a mile high. 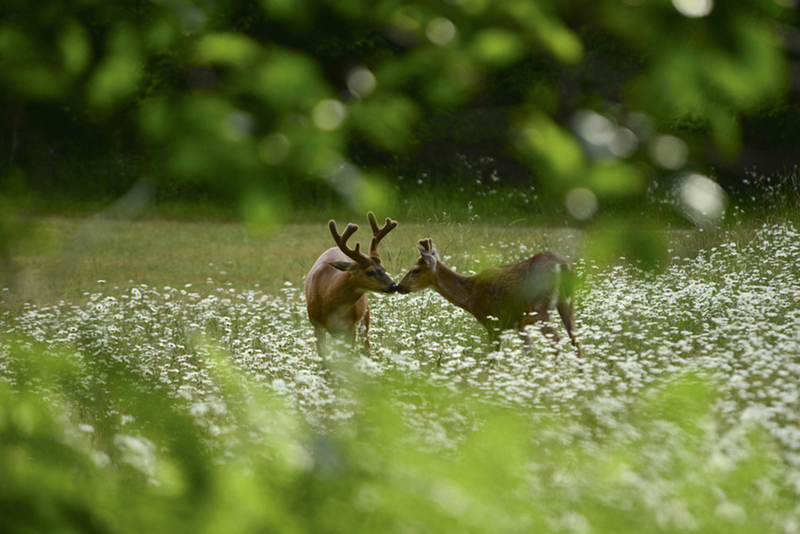 Wildflowers paint meadows of color, Foxgloves and Daisies standing tall. 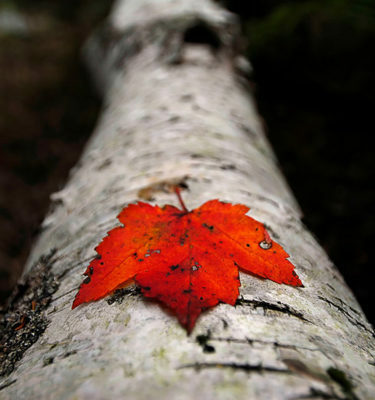 This is wilderness that provides nourishment for the soul. 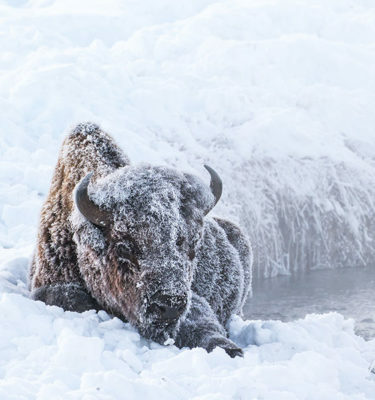 The weather is unpredictable and you are 100% dependent on nature’s whims. Near the coast, constant rains have created cathedrals of green. Rainforests filled with trees of unlimited wisdom. 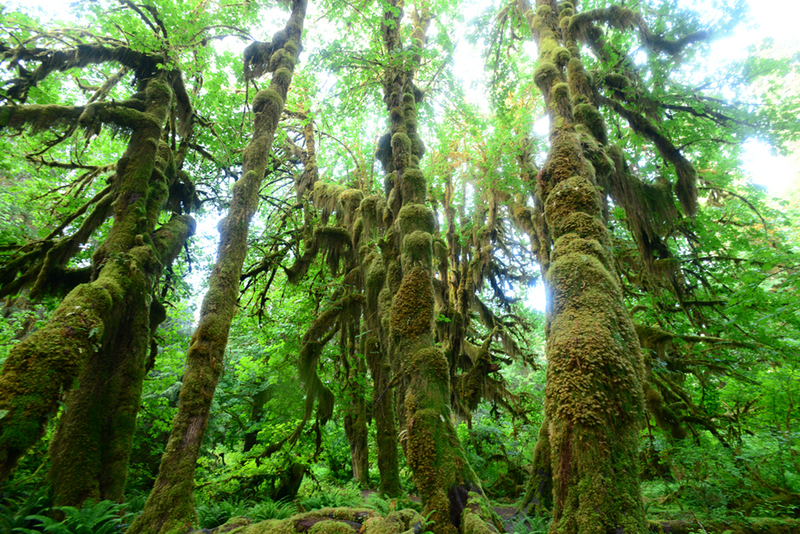 The HOH forest is home to the Hall of Mosses where Cattail Moss hangs from gigantic trees like ragged carpets of green. Trees here are like eerie creatures guarding this sacred ground. 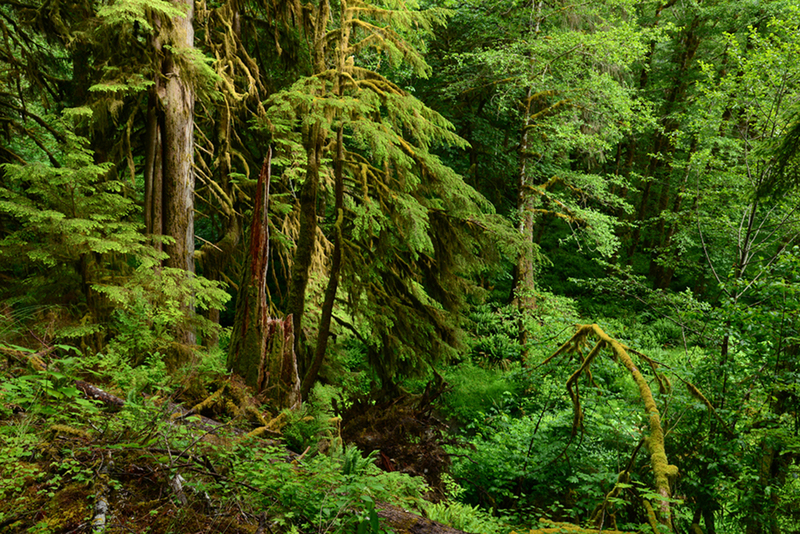 At the Sol Duc Forest, the path to the falls is shielded by giant groves of Sitka Spruce. In this realm you will experience the quietest of all quiets and the solitude of all solitudes. Every step has a purpose, every corner a lesson in evolution, every path decorated by scores of wildflowers. 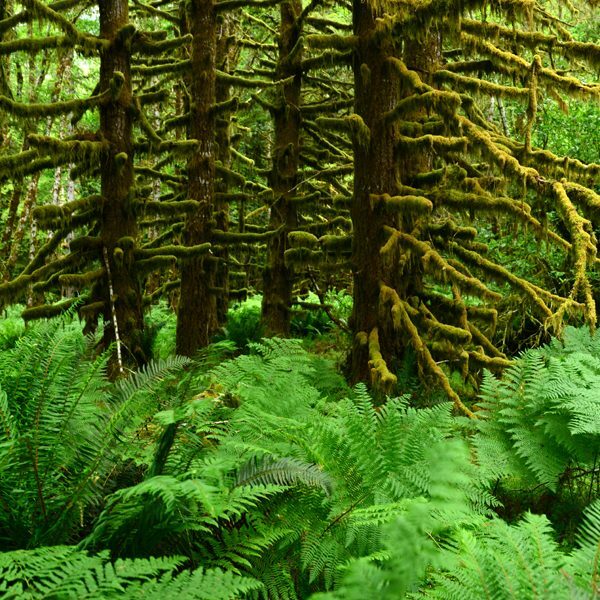 On the southern tip is Quinault Forest where moss-encrusted Big Leaf Maples glow amongst thousands of fern that thrive on the wet floor. This forest breathes, listens and answers. Salmonberries provide food for Roosevelt Elks and humans alike. A drive around the lake is a journey of discovery as this magnificent evolves in every turn. 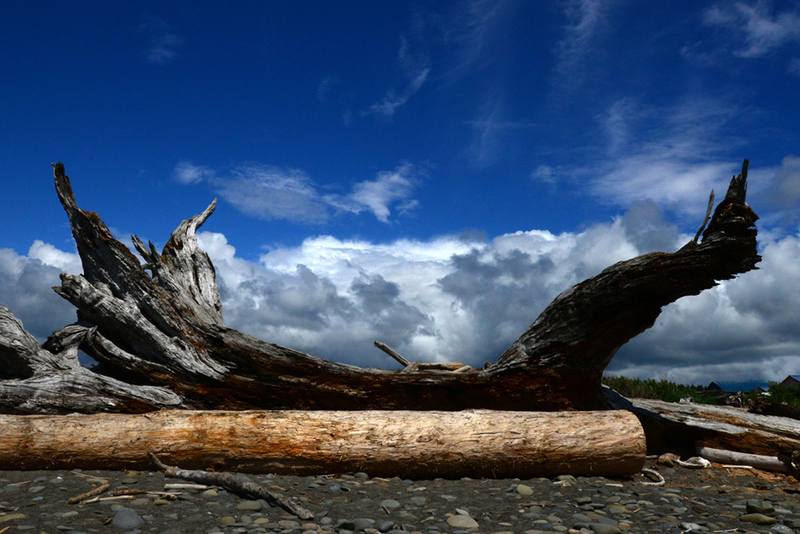 The coast is lined with centuries-old logs, giant toothpicks tossed around by ocean’s rage. At low tide, reflections of earth and sky are projected into the sea-soaked sand. Pools provide a micro ecosystem filled with ocean’s riches. Places like Ruby, Rialto and Second Beach provide a front row seat to the beginning and end of each day. 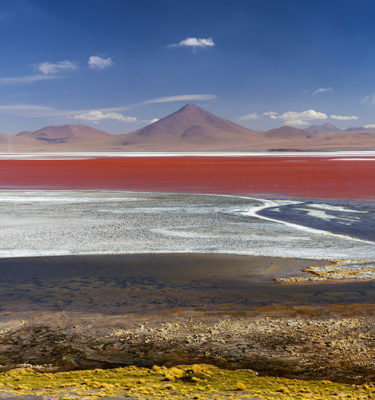 This is nature at its best, a show off of color and drama, a visual extravaganza for the heart and soul. Start the day with our operations meeting where the group meets and goes over how we are going to work over the next few days. Mid-morning we depart for Port Angeles, our first base of operations. This costal town serves as fishing port as well as the departure point for ferries crossing to Canada. 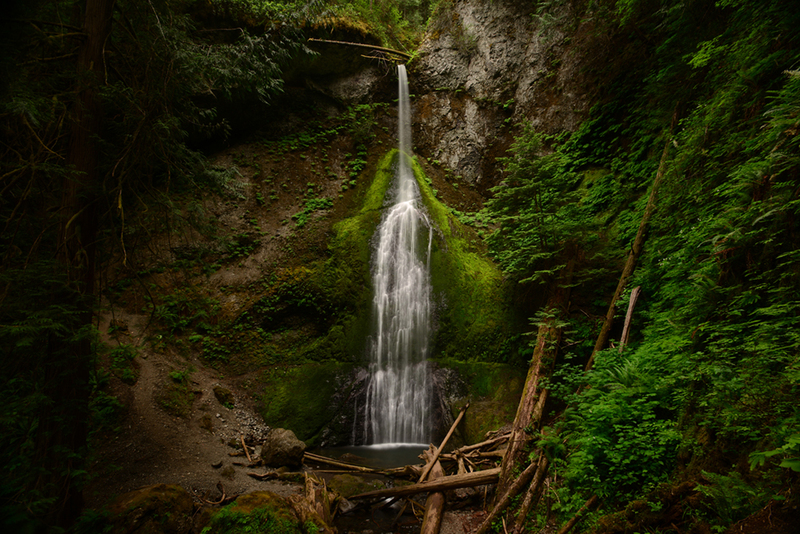 In the afternoon, we photograph the shores of Lake Crescent followed by a hike to Marymere Falls. We end the day shooting the beautiful trees at water’s edge on Fairmore. Early morning drive to Hurricane Ridge to capture sunrise over the Olympic Mountains. Fog rolls in an out of this alpine landscape providing a great background for images. Right after breakfast we head out to Deer Park to shoot more mountain scenery. After lunch, it is time for our first one on one where we discuss the images shot during the first two days. 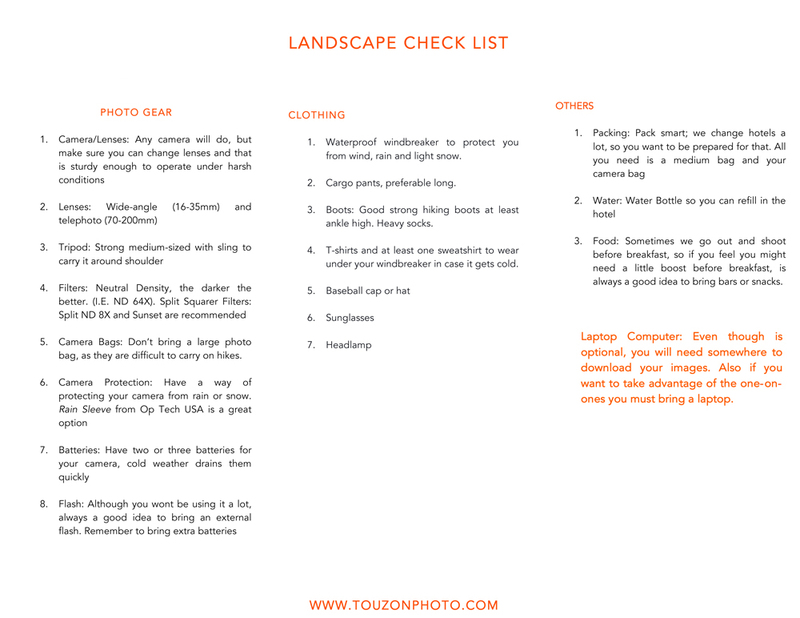 In the afternoon, we head out to our first coastal shoot. Salt Creek is tide pool capital of the world; here you will find all sorts of marine creatures to photograph as we wait for the sun to set. 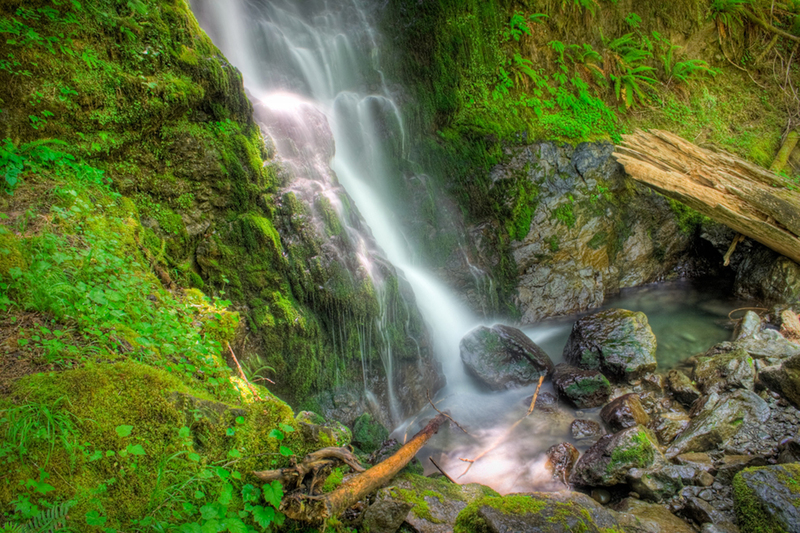 Rise and shine, time to head out to the Sol Duc rainforest where gigantic spruces line up the path to the waterfall. This is macro heaven as every corner is covered in wildflowers. 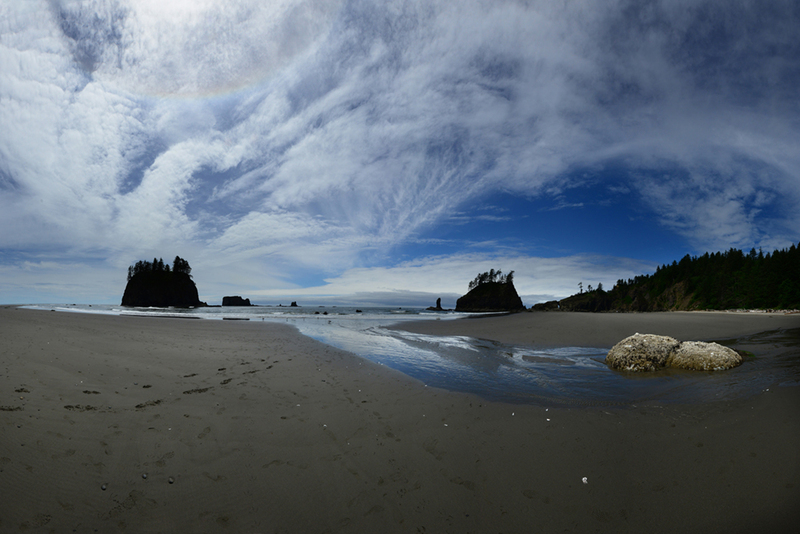 After breakfast, we drive to La Push and Rialto beaches where giant logs adorn the shore providing one unique setting for image making. After lunch is time for our second one on one. We will have an early dinner, after which we wait for the sun to go down in one of the most photogenic beaches in the park. At low tide, the Second Beach glows with beautiful reflections and amazing sea stacks fire up in the afternoon light. 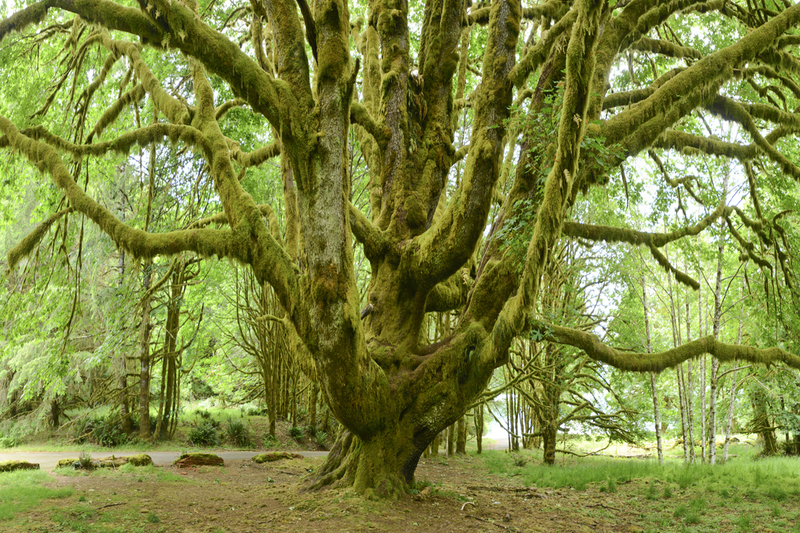 After an early check out, we head out to the HOH rainforest, home of the Hall of Mosses. Here, the big maples trees are covered in Cattail Moss glowing in the faint pre-dawn light. The paths are lined up with thousands of ferns. This is one amazing site for moody shots. After breakfast, we explore the coast in Kalaloch. In the early afternoon, we arrive in Forks, our home for the next couple of days. Ready up for a pre-dawn hike to Second Beach again. We already saw this place glow in the afternoon, now we photograph it as the early morning light caresses the sea stacks and tide pools. After breakfast, it is time to head south to Quinault, site of the lake and forest of the same name. In late afternoon, we shoot Maple Glade Trail. This is one of the most dramatic landscapes of the trip. Gigantic trees entirely covered in moss guard this sacred ground. After the hike, we drive the amazing north shore road to capture some more forest scenery with the lake as the background. Dinner by the lake’s shore follows. Early morning hike to the Gatton Creek falls followed by a short drive to photograph the magnificent Merriman Falls. After breakfast and a couple of hours of rest, we head back to Seattle. You will have a free afternoon to explore the city on your own.